Creating a work atmosphere in which employees are encouraged to work and participate enthusiastically. Our Organisational Performance Assessment and Analysis System (OPAM) was designed to measure and profile organisational performance and consensus levels in nine critical areas, and to assess the impact of these areas on organisational performance. Leadership development is a key to business success. A study by the Centre for Creative Leadership shows that 65 percent of organisations with mature leadership development programs drove improved business results as compared to 6 percent of companies without such a program. Leadership development expands the capacity of individuals to perform in leadership roles within organisations. Different personal trait and characteristics can help or hinder a person’s leadership effectiveness and require formalised programs for developing leadership competencies. Our VIP-Leadership is a groundbreaking program to develop and empower the next generation top leaders. Organisations need a process for developing the skills of their managers as these managers direct and organise the work of all of your other employees. Additionally, if you want to retain your best managers and potential managers, most significant among ​their needs from work is the opportunity to continue their personal and professional growth and the growth of their careers. Building the skills of managers through management development options is critical to the effective functioning of your organisation. The focus of all aspects of management development is to enable managers to accomplish their job as managers more effectively. 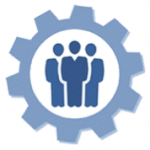 Management effectiveness is recognised as a determinant of organisational success. Therefore, investment in management development can have a direct economic benefit to the organisation. We have designed and developed high quality management development programmes to enable current and prospective managers to develop an understanding of management concepts, practices, approaches and perspectives. Training Needs Assessment is the process of identifying performance requirements and the “gap” between what performance is required and what presently exists. Organisations can avoid the wastage of training investments like time, effort and money by using effective training needs assessment. 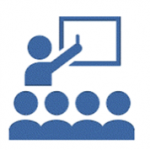 Training Needs Assessment System (TNAS) helps you identify what training you will need. The system produces a training needs report that reflects the training programmes that you need and how much you need them. 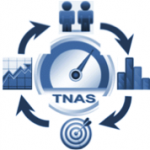 TNAS is a 180-degree assessment typically generated through self and manager inputs. 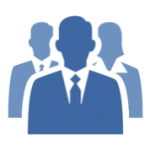 Find how well qualified are your employees. Set up an effective training programme! Accurate identification of whom needs training and what training is needed. Maximise the return on investment (ROI) of your training programme. Make sure that the training budget is not wasted! Our learning programmes and workshops have expanded to over 500. Using world-class methods and techniques, these programmes are delivered by highly qualified, competent trainers and practitioners. Systematically and objectively identify gaps in the institutional and individual capabilities. Tailor training programmes to employees’ specific strengths and needs. Integrate learning results into performance management and measure progress. Designed to enhance and strengthen your capabilities in core competencies and ensure you have the skills, knowledge and resources to effectively lead, engage, and develop your team.